The promise of field-accurate site conditions inside a 3D building information model is becoming a reality on construction sites and in early design discussions, thanks to better software import capabilities and newer, less-expensive field-scanning technologies. 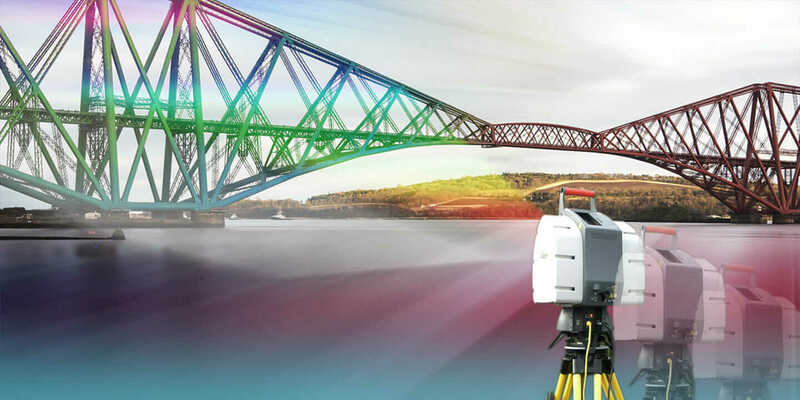 Redshift previously discussed prefabrication and how small firms can play a key role in coordinating design and construction activities, and laser scanning is a tool that can enable a high level of coordination in construction. Import of a 3D point-cloud into Building Information Modeling (BIM) software has become easier to accomplish and more manageable for architects and construction professionals in the field, as laser-scanning equipment is both more accurate and cheaper than ever before. A scan is a powerful laser recording of field data that captures a site’s shapes and possibly its appearance and converts those conditions into a cloud of data points, which can be uploaded into a 3D model. Providence, Rhode Island–based Gilbane Building Company uses a FARO Focus 3D laser scanner. Counting software and operations training, the bill came in around $60,000, a far cry from the six-figure cost of older scanners but still a major investment. (The newer FARO Focus-S 350 costs about $35,000.) The cost for a small firm sounds steep up front, but it can pay for itself quickly. Tocci says Gilbane has seen savings and major field-safety improvements from importing laser scans into Revit models, a process that’s become a lot easier in newer versions of Autodesk Revit and AutoCAD with more realistic visualizations and 3D walk-throughs available from point clouds. Prefabrication and coordination of mechanical, electrical, and plumbing (MEP) systems installation has saved rework money on every project Gilbane has used its scanner on. Prefabrication of ductwork and systems has eliminated field work and stopped what might have been weeks of MEP rough-in activities. “If someone is telling us from finished floor to underside of beam you have 11 feet, 8 inches, we can say, ‘No, we have 11 feet even,’” Tocci says. Gilbane’s initial uses—five projects across the US spanning higher-education renovations to work for the National Institutes of Health in Washington, DC—have generated such a value add that the company purchased a Faro Focus3D X 330 for its laser-scanning tool kit for long-range outdoor scans. The renovation of Kreger Hall at Miami University in Oxford, Ohio, was a case in point. The 85-year-old building is the new home of Miami’s Physics Department. When renovations were being discussed, all that Gilbane and the architects had to work with was a hand-drawn set of original plans. Gilbane laser-scanned 50,000 square feet of the building in one day, and Gilbane’s VDC staff was able to get accurate measurements for prefabrication, scheduling, and sequencing of the $12 million upgrade that turned the existing building into labs and physics lecture halls. Gilbane was able to drive the entire MEP, structural, and building-coordination activities on the project from a 3D model. Your network and hardware need to be up to the task to share and upload point-cloud data from a laser scan. Gilbane has a primary server with 3 TB of storage and a secondary server that has 16 TB. Computers with 64 GB of RAM, high-end graphics cards, and solid-state hard drives are also necessary. It’s not unusual to have a point cloud take up more than 200 GB of hard-drive space. To share these data sets, Gilbane’s outbound network traffic can generate 65 GB of network activity in a single day. Click here to discover more of the latest construction industry technology trends from Redshift. This article has been updated. It was originally published in May 2014.